This category is for Hollywood production services. Award winning Crystal Pyramid Productions (http://www.crystalpyramid.com) shoots productions for Fortune 500 corporations and broadcast producers since 1981. 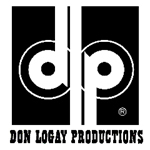 Specializing in corporate and business communications, Don Logay has provided writing, production and entertainment services for companies of all size for more than 25 years. Production, scripting, design, technical production including lighting, audio, video and set designs. Vast experience and a highly qualified creative team. Certified instructors will train you in the real self-defense methods that actually do work, not like some martial arts schools exercise techniques. These techniques were taught to Flight attendants as self-defense techniques against terrorist attacks, and military personnel. Group lessons, as well as private lessons can be arranged for extended periods. Stage Rental, Fashion Show Runway Rental, Truss Rental, Lighting Rental,Custom Fabrication.